Road Trips Discussions about road trips you have made with your TDI. Hey gang, I'm heading out on the road for 2 weeks in May/June in my 13 Jetta DSG TDI. I'm going to do the STL-LA part of Route 66 with stops in Chaco Canyon and Joshua Tree along the way. From the I'm going up the PCH through the Redwoods to Oregon and turning east to head back to Ohio. The Eastern route is largely unplanned. I have seven days to get back to Columbus. What should I see? Sounds like a great trip. Have a blast. Joshua Tree? Take your climbing gear and spend the whole week there. Thanks Jarhead. I'm an old Marine myself. I have two days to spend in Joshua Tree. A little hiking sounds good. Semper Fi! T3rrbowman, I assume that you know that Route 66 is not what it once was. It's broken up in sections making it impossible to do in one go. Google for Route 66, there is lots of information out there including some books or booklets you can buy. All LED interior bulbs. Several VCDS mods. Darker window tint. EVO skid-plate. Malone Stage 2, Malone DSG tune. Winpower Projector headlights. Angel eyes. LED DRL's. 24mm H&R rear sway bar. Phase 1 & Phase 2 done. Route 66 will take you through Northern Arizona (Flagstaff being the relatively major city along the route in N. AZ). There are a lot of neat things to see there. My family just spent Spring Break in Northern Arizona. 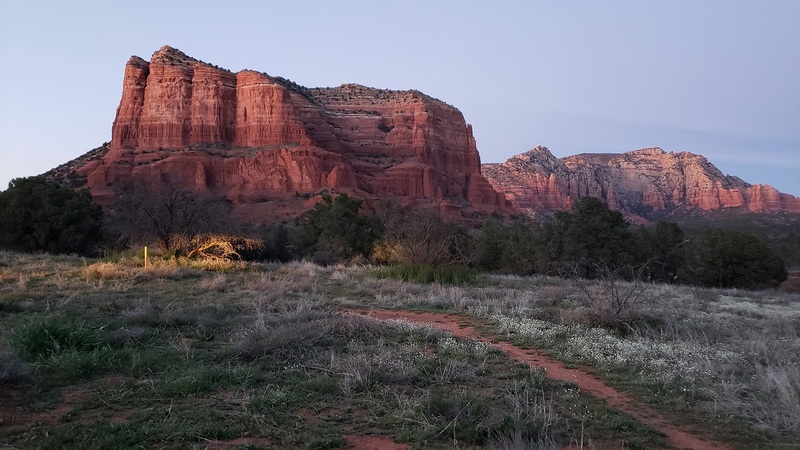 We had an Airbnb in Flagstaff but went to the Grand Canyon (about 1.5 hours north), checked out Meteor Crater (about 30 minutes east and like 10 minutes off I-40), checked out Walnut Canyon (about 20 minutes east), and spent a couple days in Sedona. If you have never been to Sedona, you really need to check it out. I love it there. 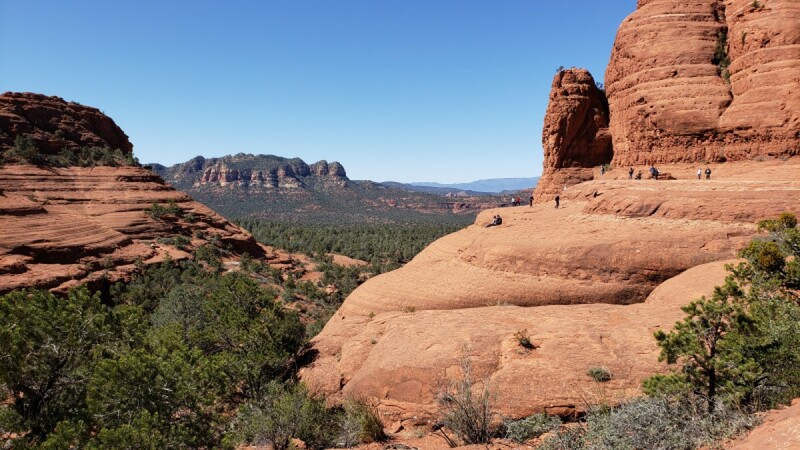 It takes about 40 minutes to get from I-40/Route 66 to Sedona and it's totally worth it. The old downtown in Flagstaff is pretty cool too. X2 on CrazyMonkey's post. Walnut Canyon is a jewel. Stop at Williams, AZ (last town bypassed on Route 66). 1996 B4V, Hella E-Codes, GLX leather, EuroTuning.cz 02A 6 speed conversion w/.71 5th and .588 6th gear, A4 shift linkage by Matt-98AHU. 11 mm pump by Oldpoopie. Now, GTC1549VZ turbo by Whitbread. TDtuning, 24 lbs. boost, 162 hp, 285 lb/ft tq. Smoke Free (9/18/15). Koni Yellows and Big Brake 5 lug conversion. [QUOTE=john.jackson9213;5498950]X2 on CrazyMonkey's post. Walnut Canyon is a jewel. Stop at Williams, AZ (last town bypassed on Route 66). Also stop at Seligman, the town that started the Route 66 revival. Stop and eat at the Road Kill Cafe. This is also the start of a good long stretch of old 66. Also follow the old route out of Kingman to see the wild burros in Oatman. An interesting mountain pass on the way. For the return trip from OR, there's Yellowstone, Devil's Tower, Jewel Cave, Mount Rushmore, Badlands. If you want to see some fine hand carved wooden clocks, stop in at the Bily Brothers clock museum in Spillville, IA. After that, there's not much of interest on the final part to Columbus. Then perhaps you can post in the Midwest section and the Columbus area folks (what few of us there are) can meet up like we used to do and hear all about the journey. This should be an exciting trip! @MoGolf those sidetrips will make it more exciting. Wall Drug, maybe Crazyhorse, but definitely Wall Drug. You'll drive right near me. I live about 2.5 miles from old 66, the MO State Hwy AH. There are still old motels along there in places. What route do you plan to take on the Eastern return trip? I've done the OR to UT and OR to WY route many times and if you're keen on taking the scenic route I've got some suggestions for you. Driving I-84 through the Columbia River Gorge is beautiful, heaps of waterfalls and hikes that sometimes take you up to the rim of the gorge. Also check out the Vista House which is 30 minutes out of downtown portland and on the Historic Columbia River Highway which was built in the 20's and modeled after European roads through the alps, but. that's explained at the Vista House. After the gorge 84 isn't all that exciting except for a nice long hill climb just East of Pendleton and the distant Blue Mountains when you're passing through La Grande. If you're willing to take the longer route you won't regret it. After the waterfall section of the gorge take the Hood River exit and get on Route 35 towards Government Camp. This road pulls you up into the mountains and wraps you 1/2 way around Mt Hood (a glacial capped volcano) and into a national forest. There are heaps of lakes up here, such as Trillium Lake, Clear Lake, Timothy Lake and Little Crater Lake which is really unique and beautiful. Lots of hikes up here to on old forest roads. Take route 26 south past Madras until you get to Prineville and then continue to follow 26 East towards Ontario, OR where it meets back up with I-84. From there you can bee-line it to Mountain Home where you can get off and take Route 20 East through Hill City and Stanton Crossing. This will bring you up near the Sawtooth National Forrest and Sun Valley area where there are some hot springs. Keep going on Route 20 until you come to Carey, ID. Route 20 and Route 26 merge as on from here through the Craters of the Moon National Monument and past Arco, ID. After Butte City, ID Route 26 will separate and head South from Route 20, but you should stay on Route 20 continuing through Idaho Falls and Rexburg until you get to Sugar City, ID. From here you'll turn onto state Route 33 which will bring you up to the backdoor of Wyoming and into the Teton Range. The road goes up over Teton Pass becomes WY state Route 22 and puts you right into Wilson and Jackson, WY and on the Snake River. Anytime I drive these routes I make sure to put my fly fishing rod in the car because you can basically fish anywhere along this entire route I described to you and be in world class Trout waters, not to mention steelhead. If you have the time and the patience, it's worth every second of every mile.